Colorado estate planning law firm Ronald D. Rome, P.C. was founded in 1987. Estate planning is the process of determining how your assets will be distributed upon your death. While it is important to have an estate plan in place as you get older, it is equally important for younger families. Creating a plan that ensures your loved ones will be provided for in the specific manner you see fit creates a safe and secure feeling. Because estate planning matters can be complex and sensitive issues to deal with, it is imperative that you work with an attorney who you trust. Since 1987, Ron has been guiding the families of Colorado to practical solutions for their estate planning needs quickly and affordably. To discuss your estate planning needs, contact the firm today. 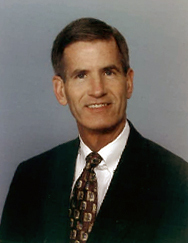 Ron founded his estate planning practice in 1987. He is devoted to building client relationships and keeping family first when it comes to creating an estate plan.